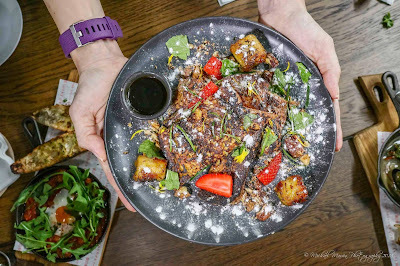 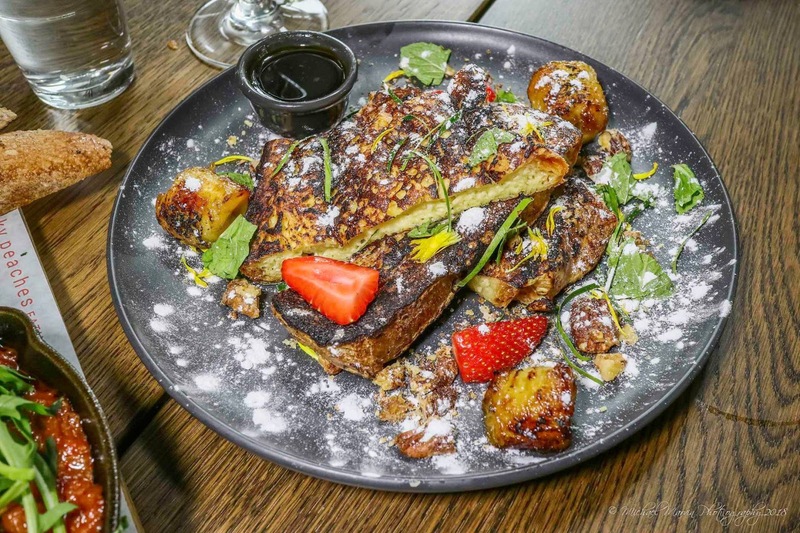 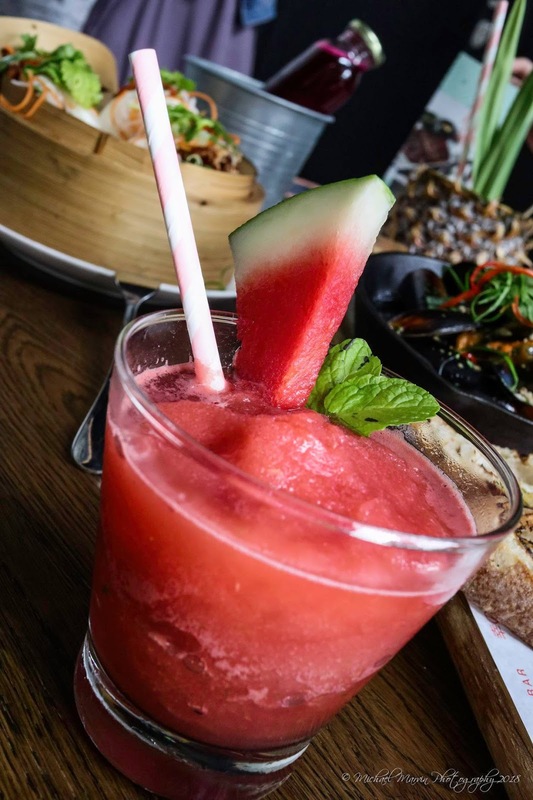 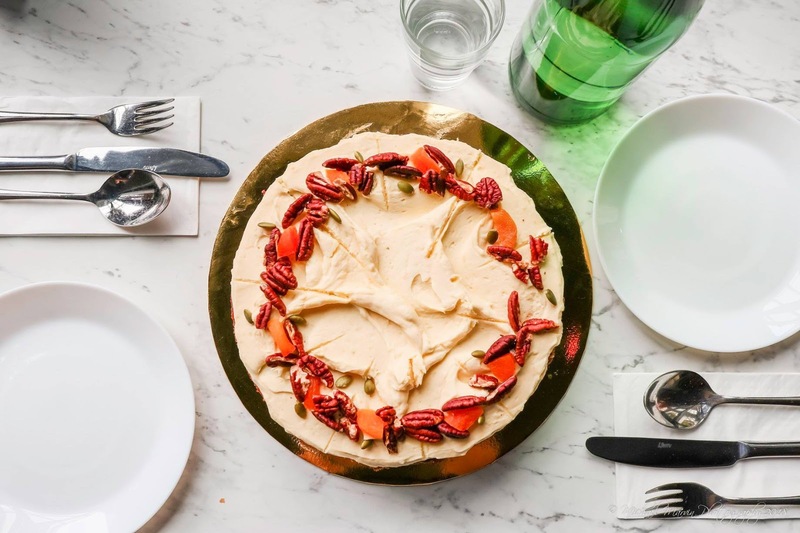 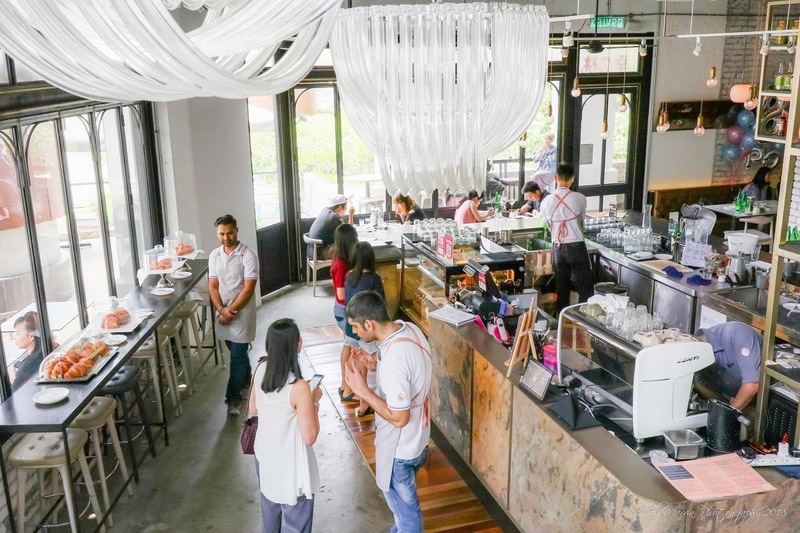 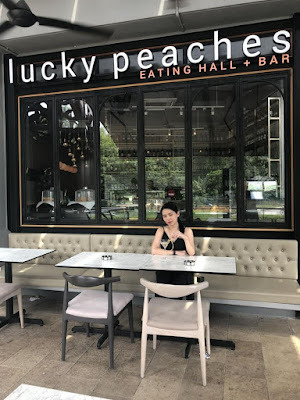 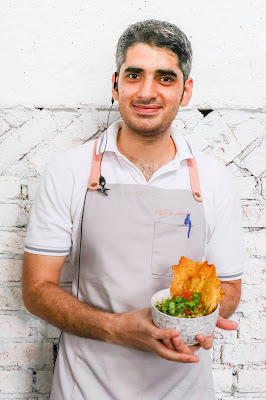 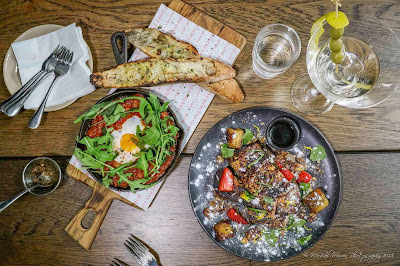 If you are looking for a new, authentic and creative menu to satisfy your adventurous taste buds, you must give Lucky Peaches at Plaza Arcadia, Desa Parkcity a try. 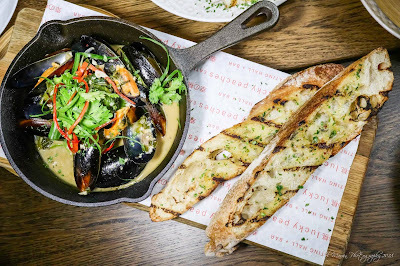 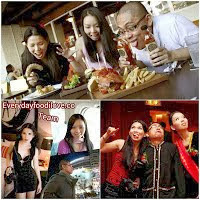 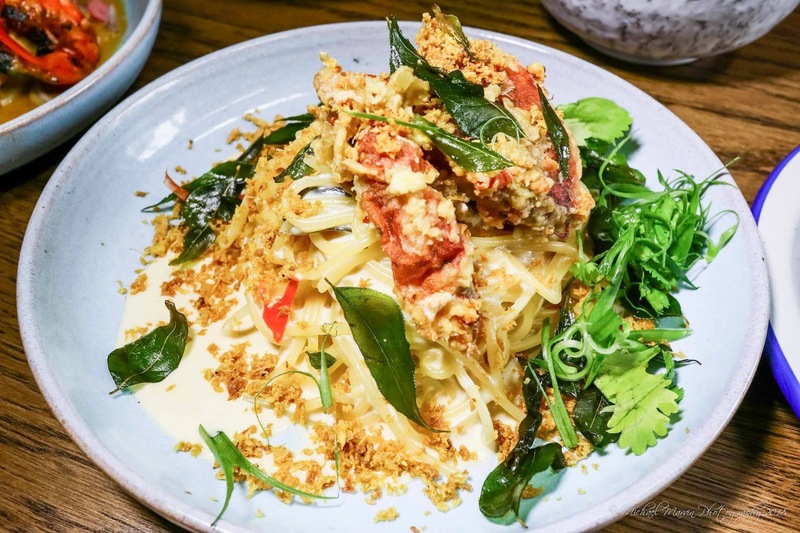 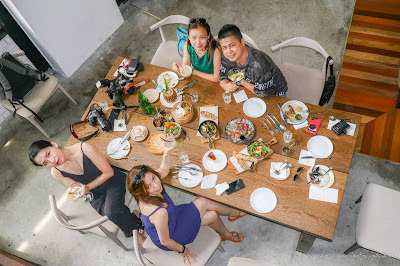 The brainchild of Ling Ang, Lucky Peaches promises good quality ingredients and a creative twist to their dishes. 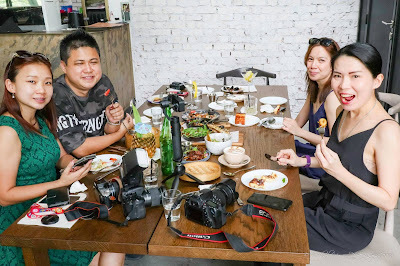 Ling Ang’s 18 years’ experience in the F&B industry (including her experience with the group which owns and runs Huckleberry) and passion in this industry clearly shows from the moment you step foot in Lucky Peaches. The exterior and interior design of Lucky Peaches seemed effortless at first glance but as you observe closer, one can’t help but notice the artistic features of the entire place. You will certainly find quite a few spots inside and outside Lucky Peaches for your #ootd Instagram posts! But what really won us over was the creative Asianised selections on Lucky Peaches’ menu. 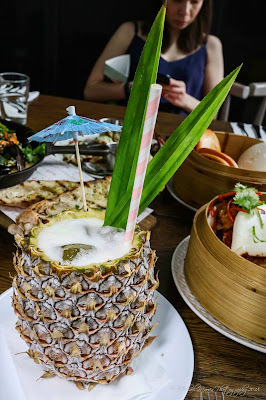 The dishes (and drinks) which we sampled were refreshing, flavourful and you know without a doubt that much thought and attention was dedicated into creating every single dish. 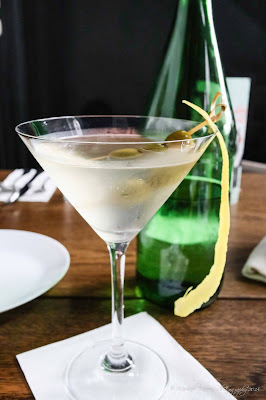 If cocktails are not your thing (which would be a shame! 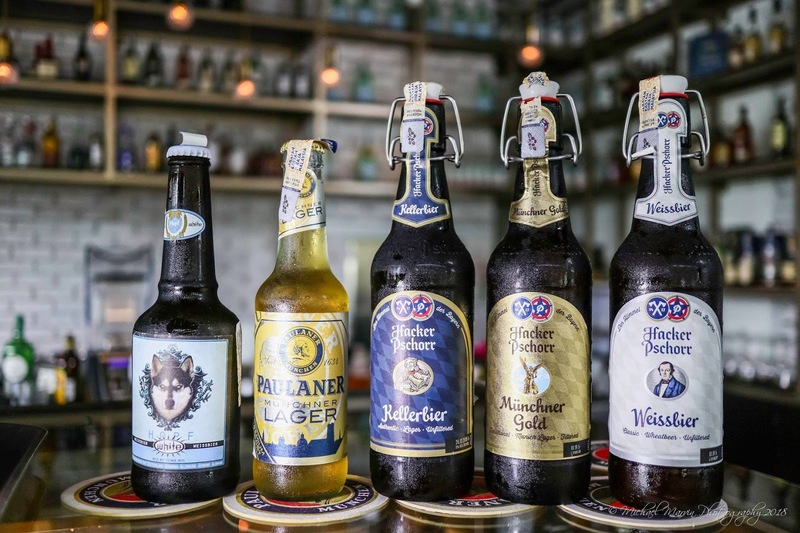 ), they also have a decent selection of fine German beers. 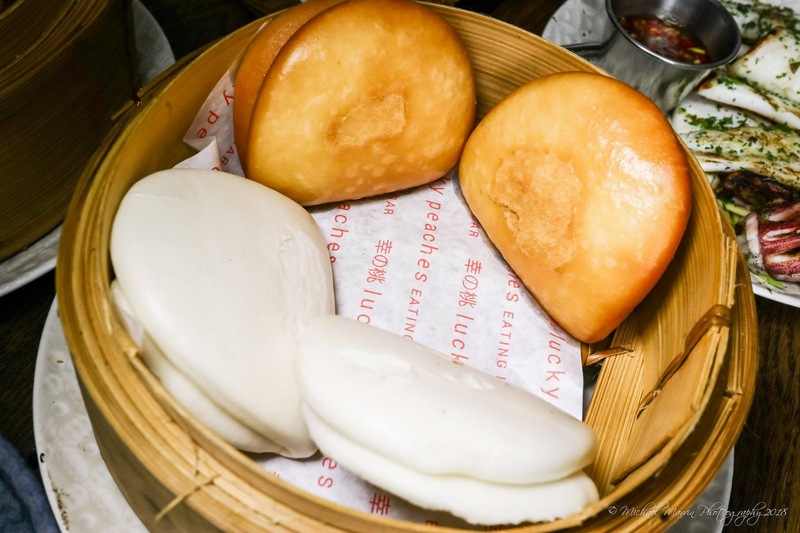 Moving on to the food, Lucky Peaches’ menu can be summed up simply as: There is something for everyone. 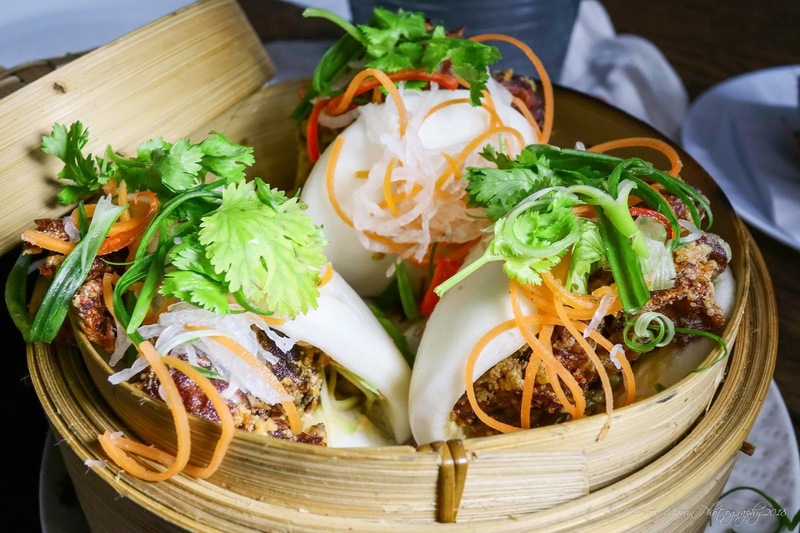 Their signature Wow Bao Baskets are a must try. 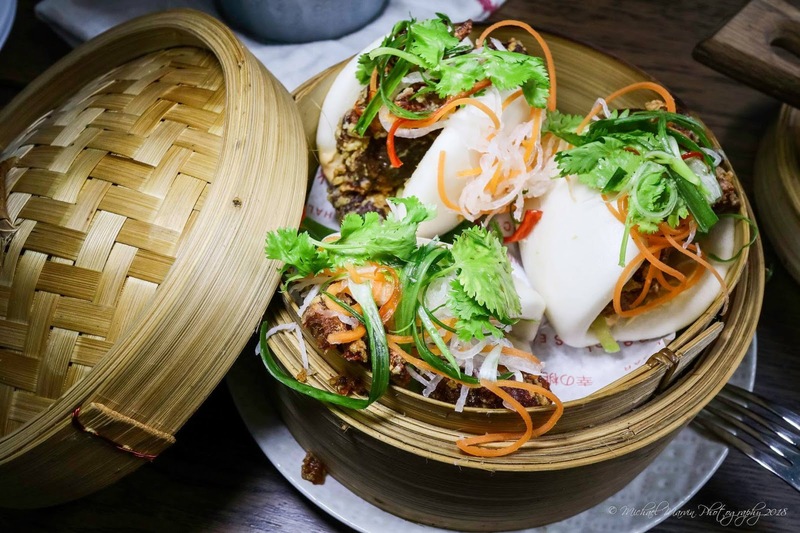 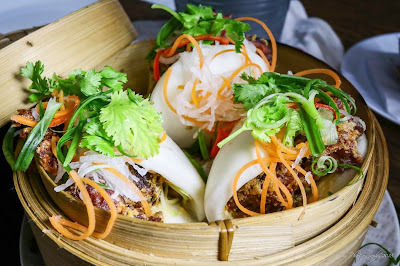 They come with the choice of steamed or deep frien baos and an option between the Buttermilk Fried Chicken or the Crispy Tempura Softshell crab to accompany your baos. 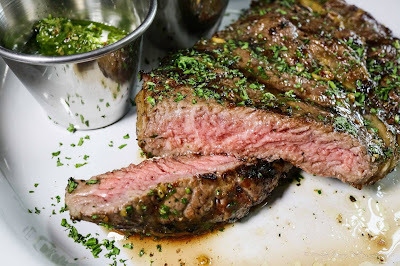 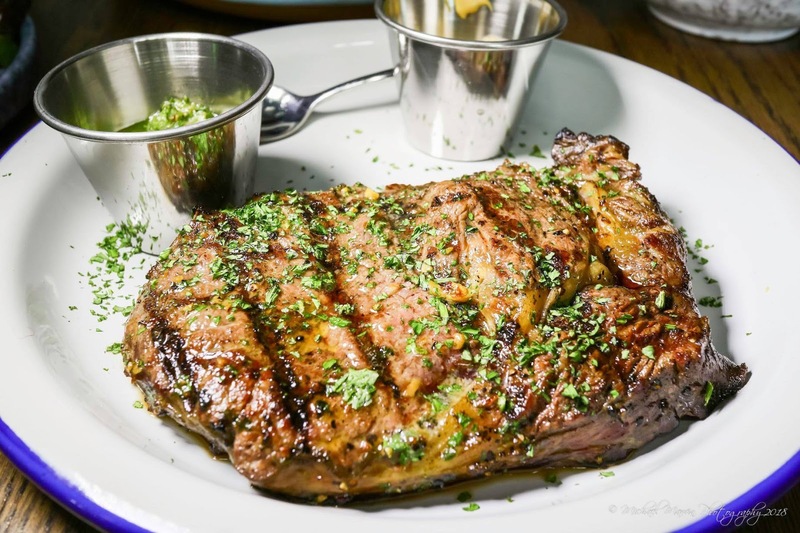 Meat lovers will also enjoy the Grass-fed Rib Eye which was done to perfection on their charcoal grill. 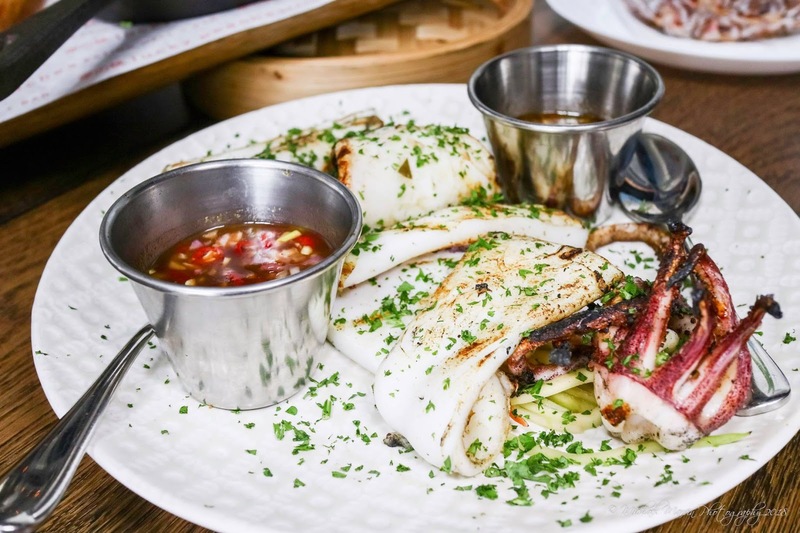 For those of you who are not meat lovers and would prefer a seafood option, Lucky Peaches’ Chargrilled Calamari which is served a fresh mango mint cilantro salad and their house-made spicy tamarind sambal dipping sauce would be a clever choice. 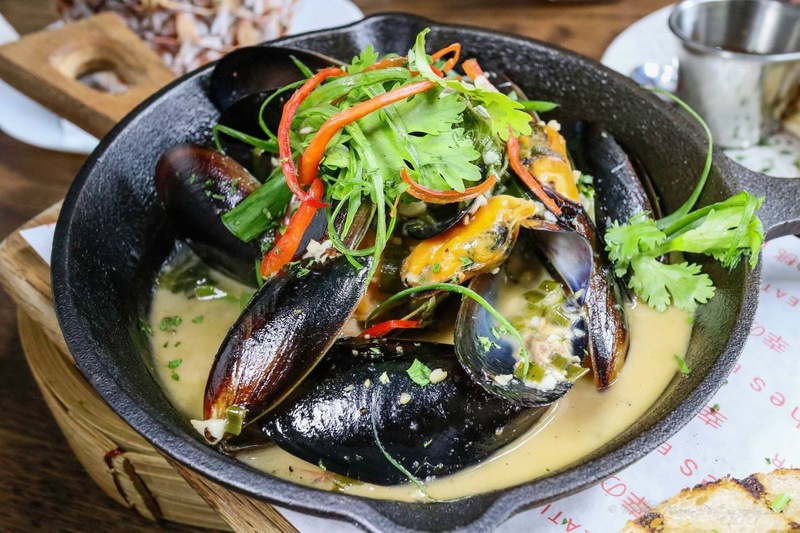 Also, the Taiwanese Wok Japanese Asari Black Chilean Mussels which we tried did not disappoint. 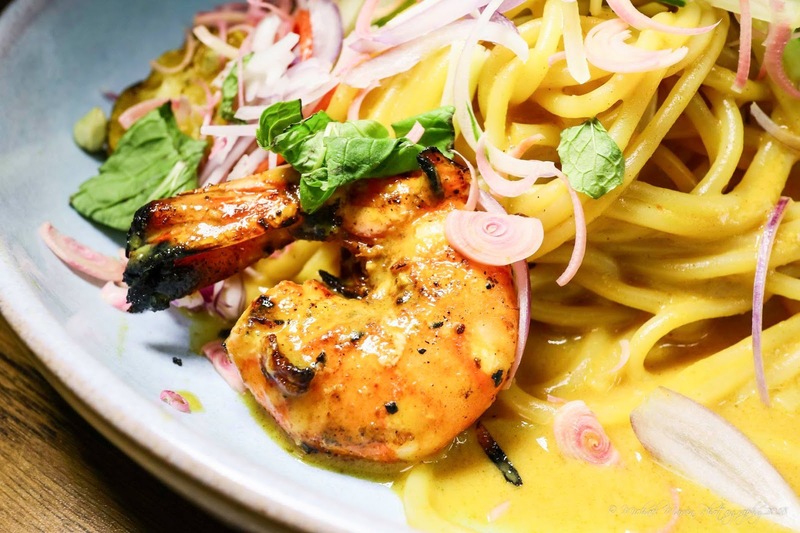 For you noodle lovers, the Prawn Nyonya Asam Laksa Pesto was also a crowd favourite. 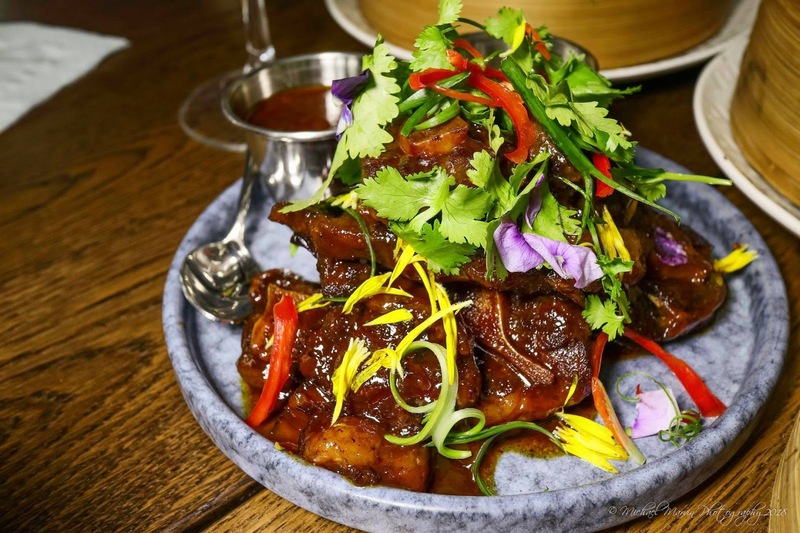 The aroma of flavours which hits the air as soon as the plate was placed in front of us cannot be missed. 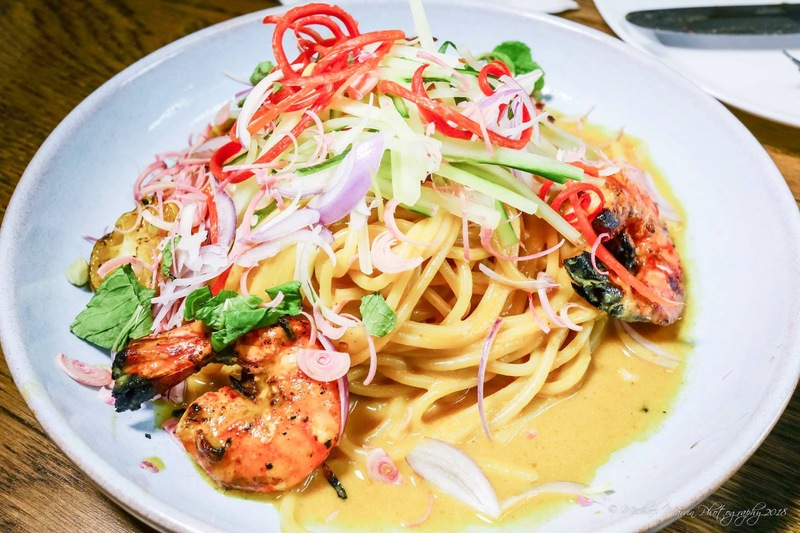 The dish tasted as good as it smelled. Do check out the lunch deals which feature their pork-free version of the Babi Guling, the Ch’cken Guling Rice Bowl. 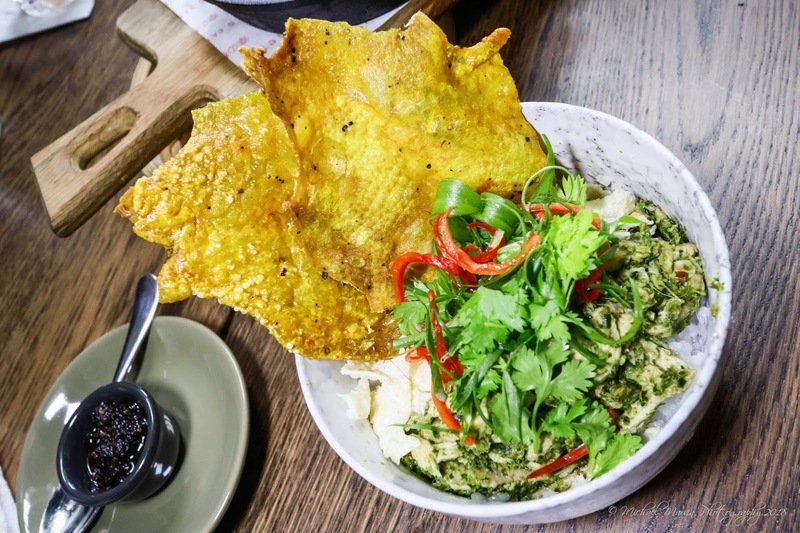 The dish is made with chicken in place of pork and we promise you that you will not know the difference. This is certainly a must-try. 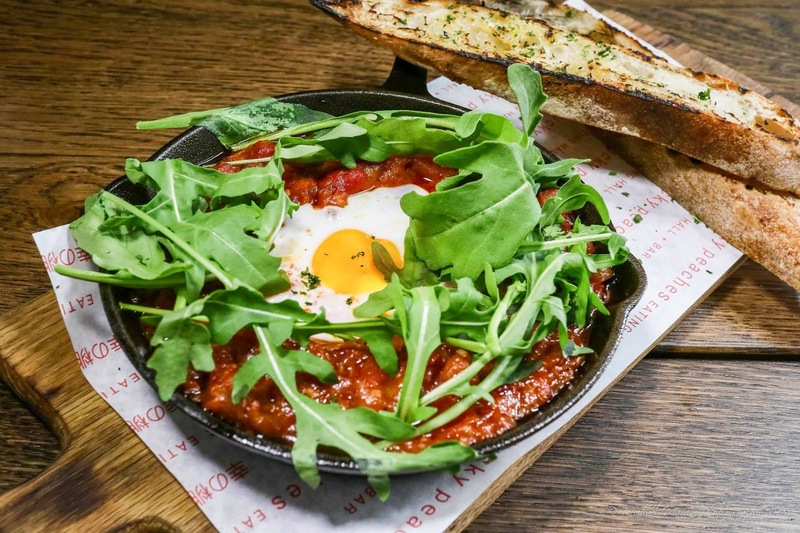 If you fancy a hearty brunch on a weekend, you would certainly enjoy the Baked Eggs spiced with dukkah. If you’re looking for something sweet to start the day, Lucky Peaches’ French Toast will satisfy that sweet craving of yours. 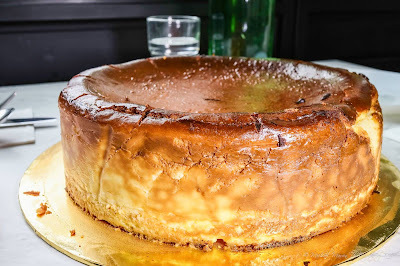 Lucky Peaches also offer a selection of cakes and pastries which are all supplied by Huckleberry. 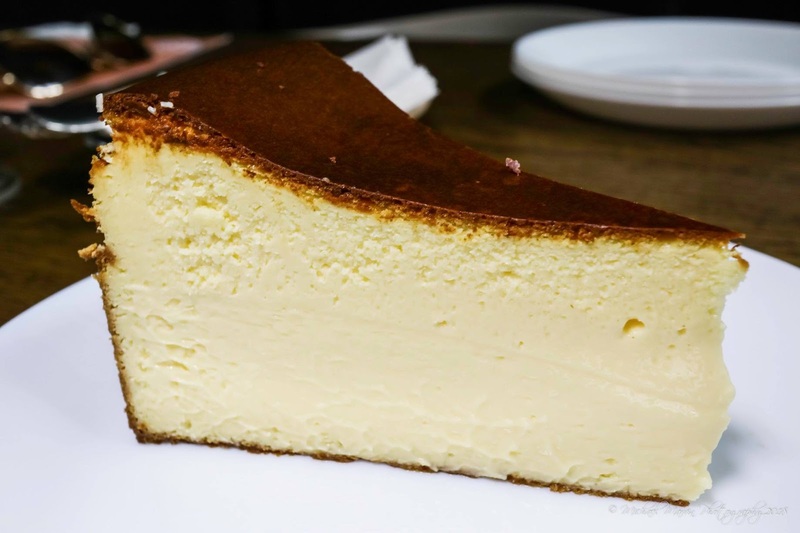 So, here at Lucky Peaches, you can sample Huckleberry’s famous Burnt Cheese Cake, amongst other cakes and pastries. 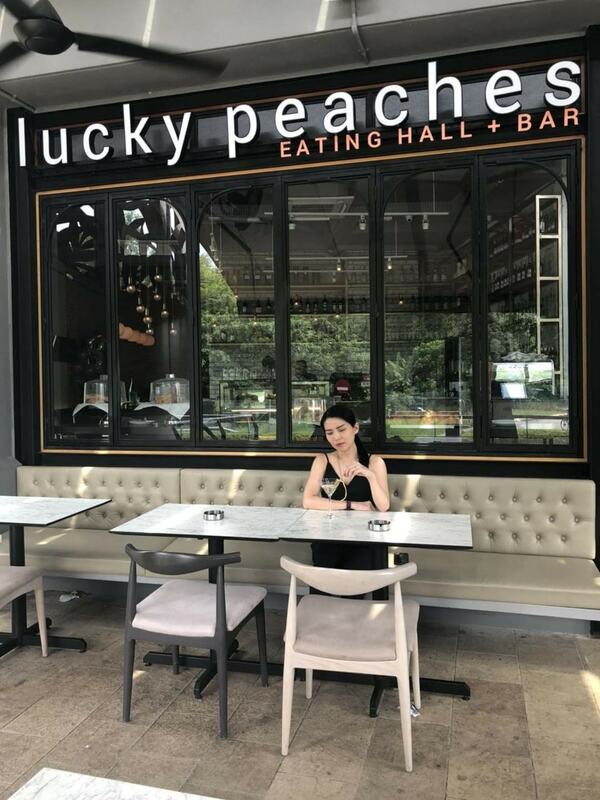 All in all, Lucky Peaches has a little something for everyone and we will definitely be back again.